Late edit: Krista here! Stef is the very best to write this for me while I was on vacation. If you haven’t had a chance to read all of the #fangirlyourfriends posts yet, please let check out the entire series because they’re all so encouraging to read! Krista is my friend, in fact, she’s probably your friend, too, so that makes us like cousins or something! Maybe. I’m not really good at math. Krista is the type of friend who would love me in spite of my bad jokes, snoring, and persistent moodiness. She is a ray of light, a kind heart, and also a safe place. Whenever I need a laugh or pick me up I can always count on her. Though we met just a few months ago she and I became instant friends. 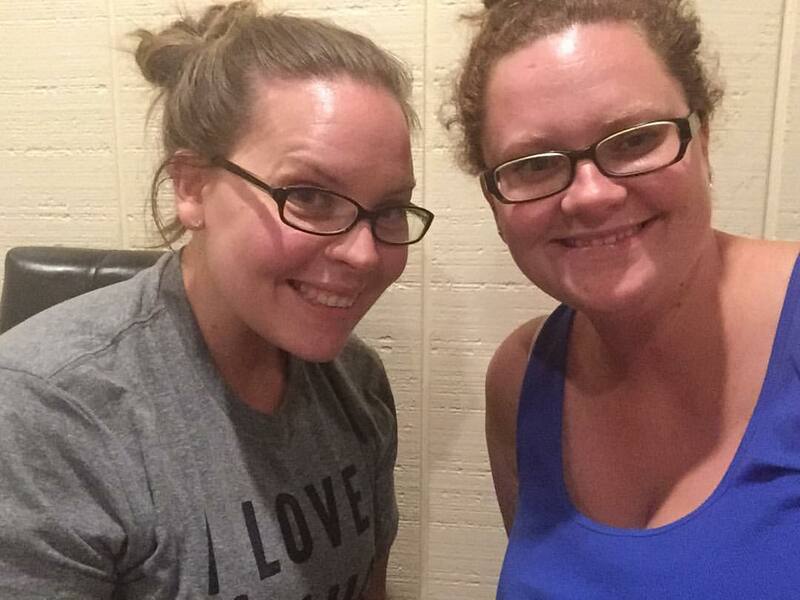 We were both on Jen Hatmaker’s For the Love book launch team. Through that amazing community our friendship deepened in the most beautiful and unique way. I truly believe that God put this experience in my life so that I could meet people like Krista. Krista is a beautiful soul with a honest and vulnerable heart. She has shared parts of herself with me and others in a way that is both healing and inviting. She brings brightness to the darkest ugly parts of my life. She fights for her friends and speaks truth to them. I have voiced my fears to her and she has always, always, always, been there to quiet them with me. I know that I am covered in prayer because this girl does friendship like no one else. In Austin we both got chicken tattoos. I held her hand while she got her nose pierced. I love that I got to share this time with her. I love that when I look in the mirror and see my tattoo I am reminded of God’s love because of Krista. 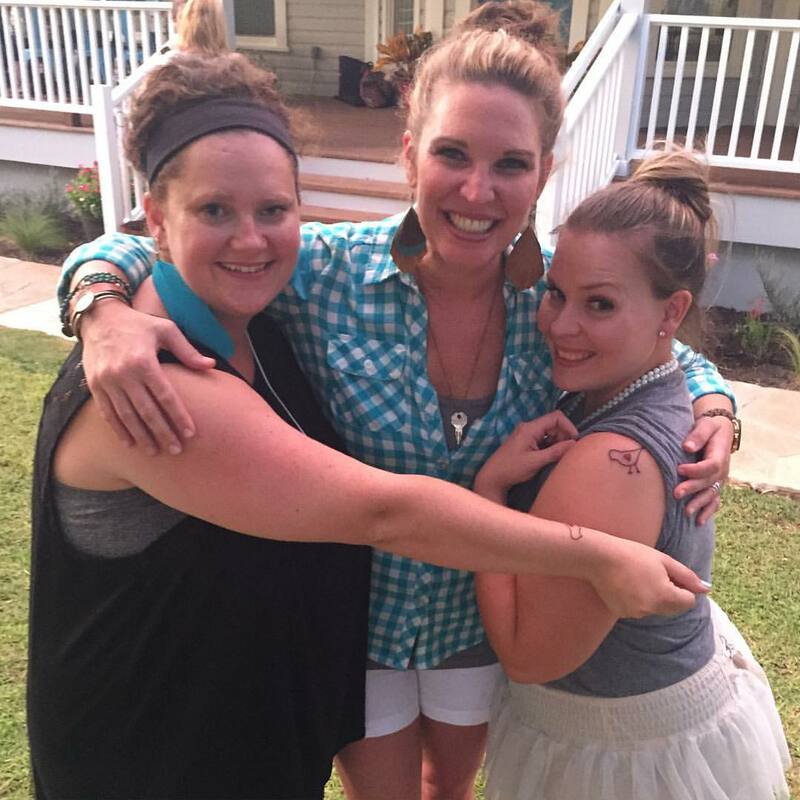 Chicken twins with the great mother hen, Jen Hatmaker. Few people in life impact us in such magnificent ways. Krista’s spirit of love, kindness, generosity radiate through every encounter. Her empathic heart is so dear and precious and is rare to find in a world of selfishness and surface-level friendships. Her infectious laughter and humor is warm and witty. People gravitate to her. She is a gift, an absolute treasure to know and to call a friend. I know that God is using her and I am so proud to be a part of her journey. Stef, I love you more than words can ever say! Thanks for being my friend. If you want to learn more about Stef, check out her blog Book of Stefanie!